Scientists say it has become increasingly clear that worldwide precipitation is shiftng away from the equator and toward the poles. Cities in Texas, California and Australia are already building or planning desalination plants, for example. And federal studies have shown that desalination can work far from the sea, purifying water from brackish aqifiers deep in the ground in places like New Mexico. It all began two years ago when hundreds of butterflies perished at Muthalamada in Palakkad district of Kerala. The butterflies’ holocaust was followed by the unusual death of cattle in the area. Then came reports that several children were mentally retarded or crtically ill. The situation was somewhat akin to Swarga in Kasargod where similar cases were recorded after indiscriminate spraying of endosulfan on cashew plantations. WPSI was the first to raise alarm following the death of butterflies. A health survey of residents within a five-km radius of Muthalamada, found that genetic disorders were prevalent in children born in the past five years and they were susceptible to cancer, kidney trouble and respiratory ailments. All of them were living close to plantations that had been sprayed with endosulfan. Though endosulfan is banned in Palakkad, it is clandestinely obtained from neighbouring towns in Tamil Nadu. To stop such clandestine sprayings, environmental groups are demanding a complete ban on endosulfan all over India. All the same, there is no conclusive medical evidence that endosulfan is behind the maladies of the residents. When it comes to environment and health of people, isn’t it time we acted on possible causes of harm rather than wait for conclusive evidence? The milkweed butterflies, indigenous to Taiwan, migrate in late March from Southern Taiwan to the north, where they lay eggs and die. The young butterflies then fly south every November to a warm mountain valley near the Southern part of Taiwan. Conservationists say Taiwan has about 2 million milkweed butterflies. To protect the migrating butterflies, a 600 meter stretch of highway in Southern Taiwan’s Yunlin County will be sealed off in the coming days as the migration peaks. Authorities set up nets to make the butterflies fly higher and avoid passing cars. They will also install ultraviolet lights to guide the insects across a highway overpass. It was but the Fifth Day of the Seventh Year of the Third Millennium. The bright sun on a cold and windy winter morning was divine. The past fortnight at Dudhwa National Park had been completely packed and hectic. And as I drove past the sunny Lakhimpur town, National Environment Science Camp 2006-07 was finally over. Karavan Heritage and Nature Society had hosted this Camp for several school students from all over the country. The Camp had been a resounding success. * Just around twelve kilometers from Lakhimpur, en route to Sitapur, lies the village of Mohamdabad. It was here at the jheel near this village that I sighted this huge congregation of Sarus Cranes. I The Sarus is one of the most enchanting sights of the countryside. A fleeting moment of a real life experience of the wild transcends endless hours of the best wildlife movies or watching animals in captivity. And if you have ever seen the Sarus dance during their courtship, believe me; your life has been worth living. I counted around 9 pairs that day. I bid farewell to my feathered pals and set off with a resolution that I shall be back here very soon. *VISITING THE WETLAND ONCE AGAIN* 8:00 AM. 16^th February 2007. The meter gauge passenger train is chugging past the beautiful railway station of Oel. This place is unbelievable. It evokes the romanticism and innocence of a lost age. *NARMADESHWAR SHIV TEMPLE AT OEL* I begin my brief trek to the Narmadeshwar Mandir, dedicated to Lord Shiva. It is the auspicious occasion of Shivratri today. The temple, popularly referred to the as the Medhak Mandir (Frog Temple), stirred my imagination a few years ago, when a friend told me about it. I catch a glimpse of the huge dome shaped roof of the temple. It seems quite impressive. I soon reach the gates of the temple. The beauty of earthy brown color of the brick temple is unmatched even by marble or red sandstone. A small but devout crowd has gathered for worship. I, too, collect a pooja ki thali and step in the temple compound. This temple is awe-striking. It is perhaps one of the most beautiful and possibly one of the oldest living extant temples in Uttar Pradesh. I have seen far more impressive temples than this. But this temple has a unique identity that distinguishes it from any other temple anywhere. 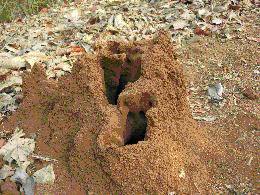 The garb-griha (the sanctum) of the temple has been constructed over a frog shaped structure. It seems as though a frog is bearing the weight of the temple on its back. The sanctum, located at least 20 feet above the ground level, is accessed by means of steps on all four sides. . Even after many hundred years, the sanctum walls partially retain the old vibrant colors and floral designs. The devotees have thronged around the Shiva-Linga. The place is pulsating with divine energy. The ambience is both somber and festive. After a while, I offer my obeisance to the Deity and climb down the steps of the temple. The main temple along with the four surrounding minor temples presents a grand sight. The frog structure and bas-relief sculptures upon the walls appear quite puzzling. The sculptures even though crude make an interesting study. I try to locate a spot where I can capture the beauty of the entire structure in totality. It is a futile effort. I end with many images of the temple. Full of admiration, I am eager to gather more information about its history and heritage. Luckily, I meet the Rajguru (the Royal Priest) of the temple. He tells me that this temple has been built by the magnanimous Royal Family of the Oel Estate. The temple, according to him, is Four Hundred Years old. An ancestor of the Royal family found the Shiva-Ling in the holy waters of the River Narmada. It was consecrated and the temple was raised here. This temple is an invaluable possession of the Family; who refuse to part with it even in the most pressing circumstances. Another very interesting aspect, the Rajguru tells me, is that this is originally a Tantric Temple (like the famous Khajuraho temples). The sculptures on the temple represent the Tantric symbols. In fact the Frog itself is a Tantric symbol. Vedic practices have long replaced the Tantric traditions. I find all this fascinating and wonder why this great heritage is shrouded in oblivion! It takes me around half an hour to reach there to reach the jheel. There water seems to have receded somewhat. I look for exact spot where I had sighted the Sarus congregation. But this time not a single Sarus is to be seen. “Hard luck,” I mumble to myself, “perhaps I should have reached here earlier.” But I am not disappointed. I decide to wait for some more time resting underneath the roadside Arjun tree. A Collared Bush-Chat catches my attention. I like her acrobatic sorties from one reed to another. I also sight some drongos, lapwings and kingfishers. Relaxing lazily underneath a tree shade near a placid lakeside, on a nice sunny day, is a regal pleasure. I partake my share, but soon realize that I have my royal duties to attend to tomorrow. And I’d better reach the Oel railway station well in time to board the return train to Lucknow. I have hardly walked a 100 meters that I notice four large birds hovering high up in the sky. Their flight indicates that they are preparing to land. I focus my binoculars. . I am eager to see them land. With their wide wings outstretched and thin long legs pointing towards the earth, they use the air current to encircle the spot they want to land. Though high above the ground, their gradual descent has begun. The afternoon sun pinches my vision, but how can I ever forgo the sheer joy of this sight! The four paratroopers are now in descent. With every passing moment, they appear larger and larger. And then the touchdown; that is what is called perfect landing. They run a distance, strictly observing the laws of motion. The birds settle on the jheel and immediately get down to business. Of the four, one bird simply vanishes somewhere. The other three scamper for food. I shake my head in disbelief. They are Sarus! Now I am simply thrilled. While I observe the Sarus, a few lads ferrying sugarcane on a bullock-cart observe me. They enquire about my pursuit. They tell me that their village jheel is home to many Sarus Cranes. I ask them if they can take me to the jheel. Yet again I savor the delights of rural India, as the bullock-cart rocks ahead to Gajnipur. Upon arrival at the village and during the walk to the jheel, I am joined by many more escorts. My escorts bombard me with a variety questions. They, finally, conclude that I am a government official making a count of the State Bird of U.P. They emphasize that I must mention Gajnipur in my report. They opine that this might help in the development of their village. Before long, I reach the edge of the village jheel. I wonder if this is the Shangri-La that the Tibetan mystics talked about. Before my mortal eyes, I behold a large congregation of Sarus, lined as though in a queue. I take a deep breath. This is no dream. A journey that began more than a month back has been fulfilled. *I count twenty-eight Sarus in the queue. Another pair is seen on another side of the jheel; that makes it thirty. Plus the four at the Mohamdabad jheel, makes it thirty-four in all. Wonderful! ** * The villagers tell me that the Sarus is unmolested in this village. People respect the Sarus and do not harm the bird. I laud their attitude. They feel happy. I tell them I’ll be back. I take a final look. The grace and beauty of the birds leaves me spell bound. I retrace my steps wondering whether the Sarus can survive the rapacious encroachment of its habitat by the ever expanding sugarcane farms and sugar mills in this region. A short two hours drive from Mumbai takes one to Dattatreya Ashram, a dream come true of Prakash Tendulkar, mountaineer, swimmer, yoga exponent, Sanskrit scholar, nature and medicinal plant enthusiast and civil servant; and of his wife, Jyotsna, mountaineer, trekker, storehouse of Maharashtrian cuisine and folklore and professor of Statistics in a leading Mumbai College. With the help of an architect from Kalyan, Mumbai, Prakash was able to finalise the design of the ashram - the Geodesic dome, surrounded by 10 comfortable dwelling rooms, laid out in the form of a “lotus opening out”. 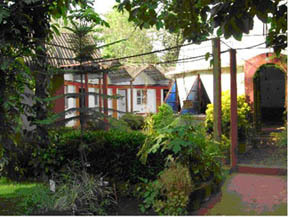 At the entrance to the Ashram are a massive Mahua tree and 3 teak trees, originals of the plot before Prakash came there. Almost no tree was cut in the layout of the Ashram, but ever so many were planted! Over 150 types of medicinal plans thrive in the plant beds. A start had been made with 33 varieties that were already in the farm – which were identified and labeled. There are varieties of trees, there is a solar cooker, the farm has its own cows, with calf; and Nandi the bull, till Prakash gave it away to a farmer who had lost his own. The farm also has Bambi the dog, ever ready to welcome visitors, and sundry birds, cobras, monitor lizards, rodents, insects, wild boars, rabbits, nature’s bounty! There is a pebble walk, paved with pebbles collected from different rivers in India and even from the banks of Manasarovar, in Tibet. “The idea is that a walk down the pebble path can bring to the walker the benefit of visiting all the rivers and Manasarover too”, quips Prakash. Prakash and Jyotsna would love to have you over. Just drop them a line, at pstendulkar@yahoo.com. Clean energy, ................is 2.3% of the US electricity market. Wow. 97.7% is non-renewable, with 50% carbon spewing coal.